The Mission of the Marstons Mills Historical Society is to foster an interest in the story of our Village. 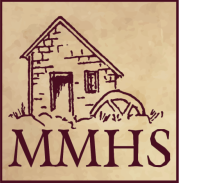 We preserve historical images, documents, and artifacts; research historic resources; and support educational opportunities for all ages for Villagers and other interested persons, in order to better understand and appreciate the past, present, and future of Marstons Mills. The Marstons Mills Historical society welcomes all new members. Click on the link below to download a PDF of our membership form. Print off the form, fill it in and send it with your membership dues to P.O. Box 1375, Marstons Mills, MA 02648. The form can also be used as a donation form--just check the appropriate box! Thank you, and welcome to the MMHS! Check out the Youtube video of The Birth of the Marstons Mills Library, a play by Sandra Bolton that was performed during the Tour de Force! The most recent newsletter has just come out! Click on the link below to read a PDF version.